Anti-water charge protests in Letterkenny, County Donegal on November 1. The Irish government’s unpopular public utility, Irish Water, has been dealt a body blow. It failed two key tests within the space of a fortnight — gifting a huge victory to opposition parties and the huge anti-water charges movement. Just after midnight on July 27, a bomb exploded in the car of left-wing politician and refugee activist Michael Richter in the town of Freital on the outskirts of Dresden in eastern Germany. Richter, a 39-year old town councillor for the socialist party Die Linke (The Left) was not in the car. No one was harmed by the blast, which also damaged a nearby car. Police are yet to assign blame, but Richter is certain the attack came from right-wing groups in the area, who have threatened him repeatedly in recent months over his campaigning work for refugees. 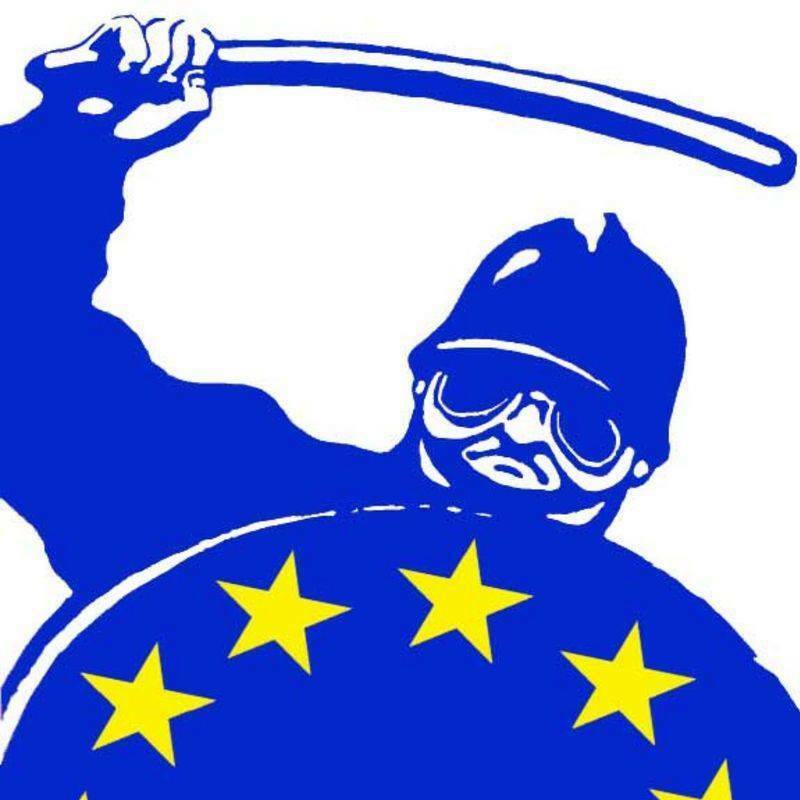 Europe, as we know it, may well be over. The promise of a peaceful integration of equals with a capitalist framework lies tattered on the floor of a negotiation room in Brussels. There, the SYRIZA-led Greek government finally succumbed to the blackmail, economic carpet-bombing and “mental water-boarding” of the European powers. Regional elections held in Spain on May 24 installed an historic pro-Basque state government in the Basque autonomous community of Navarre for the first time. It ended 16 years of rule by the pro-Spanish, centre-right Navarrese People's Union (UPN). The UPN won only 15 seats, down four from 2011. Its ally, the right-wing Spanish People’s Party (of Spanish Prime Minister Mariano Rajoy), won two, half of its quota in 2011. The BBC’s Panorama program on May 28 made explosive revelations about British state collusion with paramilitaries in the north of Ireland occupied by Britain. It implicates British authorities in the murder of hundreds of people, and in subsequent cover-ups. The documentary, titled “Britain’s Secret Terror Deals”, detailed the vast scale of British security forces' involvement with illegal paramilitary groups, running thousands of informants and agents. Tens of thousands of anti-capitalist, environmental and social justice activists took to the streets and country roads of Bavaria in Germany to protest the Group of Seven (G7) nations summit, which took place on June 7 and 8 in a secluded castle in the German Alps. More than 35,000 demonstrators marched peacefully in the Bavarian capital Munich on June 4. They protested the destructive policies of the G7 industrialised nations — climate change, militarisation and NATO expansion in Europe, economic austerity and poverty, democracy-destroying free trade deals and more. On May 19, the federal government’s Royal Commission into Trade Union Governance and Corruption released a 116-page discussion paper recommending a swathe of new attacks on union rights. The proposals give the clearest indication so far of the likely outcome of the expensive inquisition into the union movement when the commission releases its findings in December. The document presents little more than a sweeping wish list of restrictions on the rights of union officials and the ability of unions to carry out their work to benefit members. Thousands of German train drivers and railway workers began a week-long strike on May 5, the longest in the country’s post-war history. About two thirds of Germany’s long distance trains and a third of regional trains have been cancelled, with trains in the eastern region around Halle, Leipzig, and Dresden reduced to about 15% of services. Some subway systems were also affected, including in Hamburg and Berlin. Deutsche Bahn (DB) carries a fifth of Germany's freight transport — about 1 million tonnes per day — as well as moving 5.5 million passengers daily. Nearly 90,000 people took to the streets of Dublin on March 21, in an unprecedented fifth mass protest in six months against the introduction of water charges by the Irish government. The sea of flags, banners and placards was addressed by a range of politicians, community activists and union leaders. The protest was organised by the Right2Water campaign — a broad coalition of community groups, NGOs and political parties, led by some of Ireland’s largest unions. Sinn Fein MLA and Northern Ireland Deputy First Minister Martin McGuinness indicated on March 9 that his party would oppose the new welfare reform bill in the northern Irish Assembly in the six Irish counties still occupied by Britain. McGuinness accused government partners the Democratic Unionist Party (DUP) of acting in bad faith. Sinn Fein is in a power-sharing arrangement as part of the Good Friday peace agreement signed in 1998, which sought to end the violence that had wracked Ireland's north since the 1ate 1960s, known as The Troubles.